In 2013, after many years of trying and some very near podium misses, Tejvan Pettinger from the Sri Chinmoy Cycling Team won the national cycling hill-climb title, one of the top races on the UK national cycling calendar. Tejvan began cycling in earnest in 2005, but despite being a promising rider the prospect of a national title seemed very much like a faraway dream. In the year before his passing in 2007, Tejvan's Guru (or spiritual teacher), Sri Chinmoy, made quite a few references to Tejvan being 'our cycling champion'. Sri Chinmoy preferred to teach his students through silent meditation, and was not one for frivolous comment; often these seemingly offhand remarks had a way of awakening his students to new possibilities. (For example, also in 2006-7, Sri Chinmoy repeatedly and seemingly offhandely asked another student, Grahak Cunningham, whether he had done our longest race, meaning the 3100 Mile race. Even though up until then he had very little ultrarunning experience, Grahak was inspired to start that race and see what happens - he went on to finish the race on his first attempt, and later won the race in 2012). As the years went past, Tejvan realised that the goal of a national title was indeed possible and put more and more focus on it, both physically in terms of being in the best shape and having the right equipment and approach, but also inwardly in terms of being receptive to divine Grace - a journey which culminated in everything coming together in 2013 for the ultimate prize. 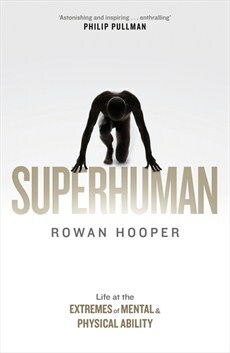 Petra Kasperova from the Czech Republic, the winner of our Sri Chinmoy Six Day Race which took place this year in Flushing Meadows Corona Park in New York, was recently featured in a new inspirational book called Superhuman, by Rowan Hooper. The book looks at people who have achieved notable features of self-transcendence, and tries to answer what motivates them to reach for these goals. Petra finished this year's race with a total of 370 miles, at only her second attempt at running a multi-day event. During the 6 day race, the runners can be out on the course for many hours at a time, and have to deal with numerous physical issues. Petra credits meditation with giving her the inner strength to overcome these obstacles. I am certain I would never do so well in running if it wasn't for meditation and spiritual techniques that I have learned and applied during training and racing. The techniques can change from race to race and even during a race. I like to repeat mantras, qualities and prayers - that seems to help keeping my mind calm and focused. I try not to think at all, just to be focused. Repeating qualities like gratitude seem to keep my mind clear and make me more aware of what is going on inside of me and also outside of me. Running is an integral part of Petra's life - she works in the specialist running shop Run and Become in London, where she advises runners on all manner of running issues. She often trains by running to work and back. "I find that running has made me stronger, not just physically but on many different levels. It is always when we go outside our comfort zones, outside what we think is possible, when we transcend ourselves in any field of life (not just running), that's the time where we need to dig deep, and when we do, we get glimpses of who we truly are and who we really want to be – for a happy self and a happy world."